Your daily workout routine might be hurting you. Exercise isn't bad. But when you complete the same workout day in, and out, it can actually set your body back. People who are diligent at working out tend to do the same workout. Every week it's the same running route and weights routine. The problem: it lacks variety and that can cause you to fall short of your fitness goals. By adding other types of exercises to your workout regime—or even substituting some workouts for other activities—you'll develop strength and endurance. For instance, a person who habitually lifts weights and has done so for years may struggle to complete plyometric or other high-intensity exercises. Their body gets pushed in unfamiliar directions, which can be intimidating. 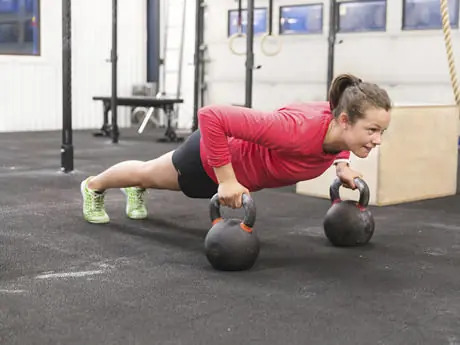 Runners and other types of people who are used to exercising in a forward or backward motion (many weightlifters fall into this category as well) will be particularly challenged by exercises and movements that go laterally or involve twisting motions. Adding lateral movements strengthens the muscles not used when running forward or lifting in the up-and-down motion. For example, a runner may experience a tight Iliotibial band (ITB), which can come from a weak gluteus minimus. The constant forward movement doesn't give this muscle the attention it needs to develop strength. To strengthen this small muscle, lateral movement is suggested, which will support the ITB. Mix up your workouts to uncover your muscular weaknesses, lack of flexibility and previously unknown areas of strength. Trying workouts that you're unfamiliar—and even uncomfortable with—can inject a little excitement into your daily regimen, make you more aware of your body and ultimately, help you reach your fitness goals.